This course is designed to provide the health care professionals knowledge on the basic Health Insurance and Portability and Accountability Act (HIPAA) rule related to ensuring patients right for privacy and security of their personal health information. The Health Insurance and Portability and Accountability Act rules are more stringent than ever before. Every person who works with patients or comes in contact with a patient's protected health information - whether direct caregivers, billing clerks, office staff, or CEO - will be held to a higher standard of accountability for keeping confidential information private. It is critical for all health care workers to receive information to reduce the risk and vulnerabilities associated with patient data privacy and security. With advances in medical record documentation and storage, ensuring privacy and security of individual's health information is even more critical and challenging. The stakes are high as criminal and civil penalties for improper use or disclosure of medical information are increasing as well. It is critical that every employee, even those with limited access to patient information, become familiar with the HIPAA Privacy and Security Rule requirements. Describe the applicable sanctions for violating the HIPAA Privacy and Security Rules. Explain when patient protected health information may or may not be used and/or disclosed. 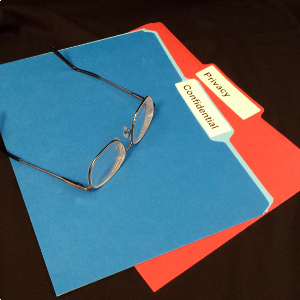 Define a covered entity and a business associate as it relates to Protected Health Information. State the individual rights granted by HIPAA. Describe the standards used for determining when state law preempts HIPAA. Identify commons situations in which breaches occur and the appropriate responses. For more than ten years, Robert W. Markette, Jr., CHC, has focused his practice on representing home health, hospice and private duty providers in all aspects of their operations. With more than a decade of experience in working with the home health, hospice and private duty industries, Robert has developed a reputation for understanding the issues facing homecare providers. <br><br> In representing the homecare industry, Robert has assisted clients in a number of areas related to the operation of their business. He works with his client on issues related to Medicare/Medicaid compliance including surveys, responding to surveys, state and federal appeals of survey findings; payer issues, including appealing payer audit findings; HIPAA Compliance; Medicare and Medicaid fraud and abuse, including matters such as developing and implementing compliance programs, performing internal investigations and representing providers in external investigations and civil and criminal matters. <br><br> Robert is certified in health care compliance by the Health Care Compliance Board. He is also a frequent speaker on home health, hospice and private duty matters across the country, presenting to the American Health Lawyers Association and the National Association for Home Health and Hospice Care, as well as other national speaking events and numerous state trade association conferences and continuing education sessions.